Bergenia is a rather small, but unique genus with about 12 species. All are vigorous perennials with creeping thick rhizomes and large, leathery, evergreen leaves growing into broad, dense clumps. 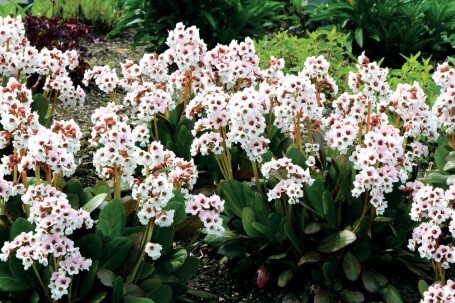 All the Bergenia, whether they are species or hybrids, easily do well in any site or soil type, except extreme shade. 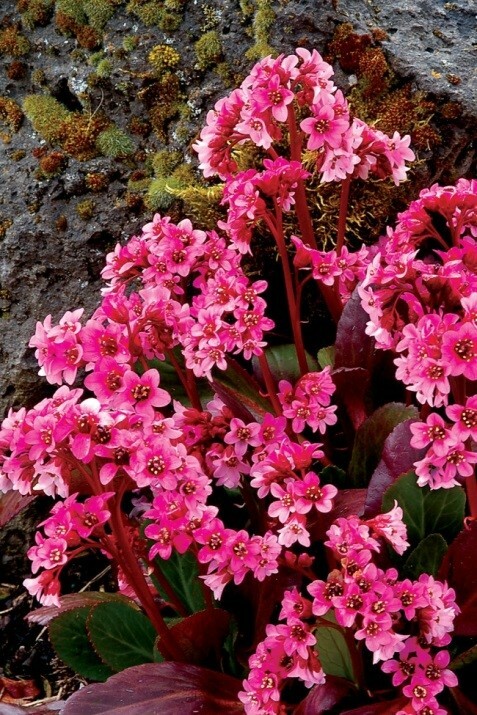 Bergenia often stands out among other perennials because of their unique, bold-leaved character. Good companion plants are Astilbe, Heuchera and Brunnera. Excessive Summer heat and drought should be avoided. 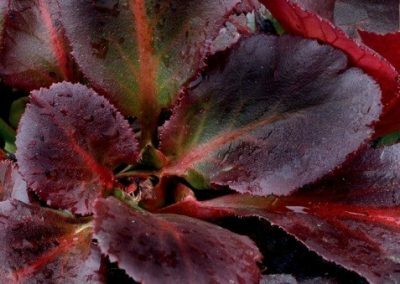 Bergenia is extremely hardy. 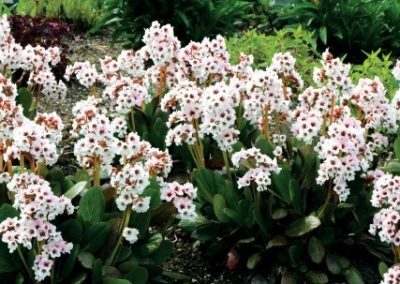 The genus Bergenia was named after Mr. Karl von Bergen, born in 1704 in Germany. He was a medical practioner, professor at the University of Frankfort at the Oder, and the author of publications on botany. He died in 1760. In the past, hybrids were introduced infrequently. 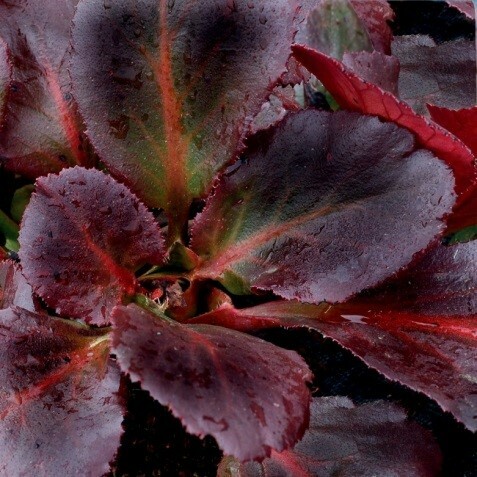 With this in mind, these new Terra Nova® Bergenia varieties will conquer the world very quickly. 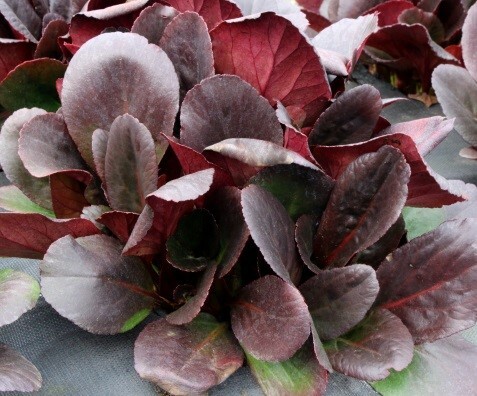 Five outstanding varieties have already proven their garden value. The Dragonfly® Series offer a group of plants that feature compact glossy foliage that turns a black-purple in winter and carry profuse blooms. The soft, sweet, semi-double, white to light pink flowers are produced in great abundance. These give new value to an old garden favourite. Angel Kiss is easy to grow, and really lights up an early spring garden with sophistication. 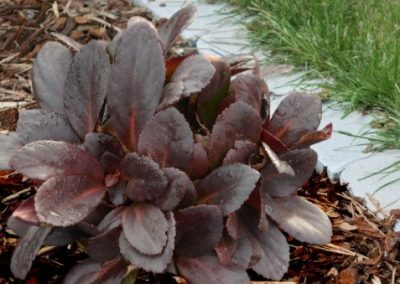 The compact, winter foliage is very dark with red and purple highlights. In early spring, it’s a perfect, contrasting foil for the charming flowers that emerge snow white and take on a light pink glow. 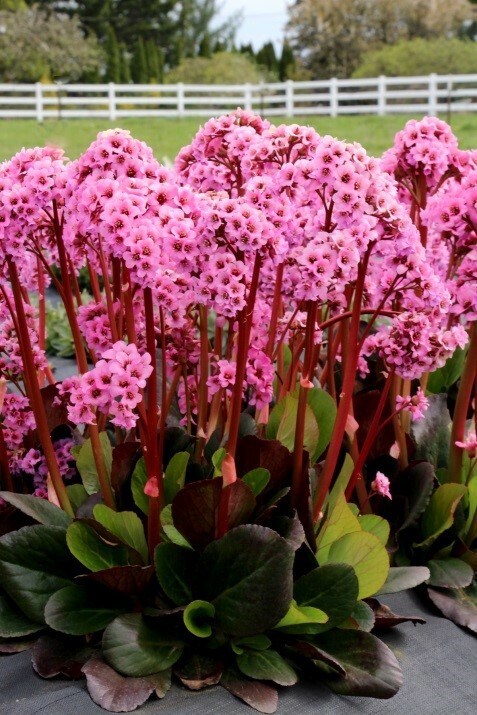 This Bergenia is a vigorous dwarf one that provides unique beauty from winter until spring. 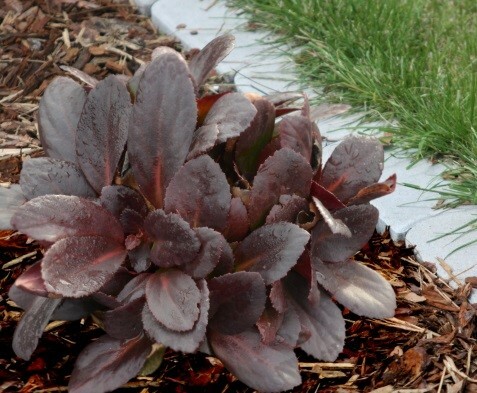 This perennial has tailored upright leaves, short stems of large, deep pink flowers during spring and clean, shiny, near-black foliage in winter. 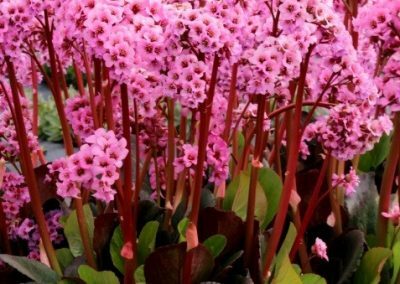 Bergenia Dragondly® Flirt has a uniform spring bloom, with one clump having the ability to produce over thirty showy flower spikes in its flowering seasons. 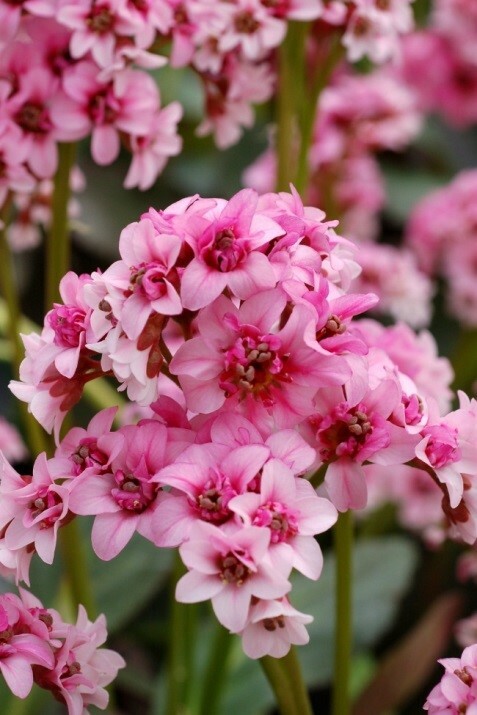 Bergenia Dragonfly® Sakura produces, pink, semi-double flowers that remind us of cherry blossoms. There are many reasons to have this plant in the garden, but, the best perhaps is: simplicity, beauty and easy care. 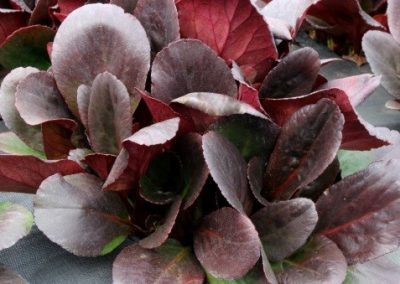 The flashy, bright pink flowers arise in spring from clean, shiny chocolate brown foliage that appears to be almost satiny, purple- black in fall and winter. 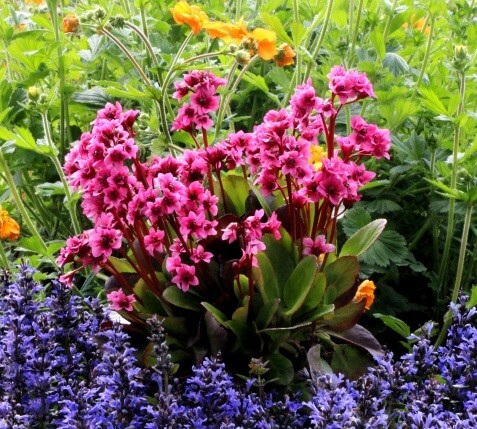 Bergenia Dragonfly® Spring Fling forms a large, fairly tight and upright plant that blooms so heavily, it could be mistaken as an Azalea from a distance. It has branched flowering stems, which equals more flowers. 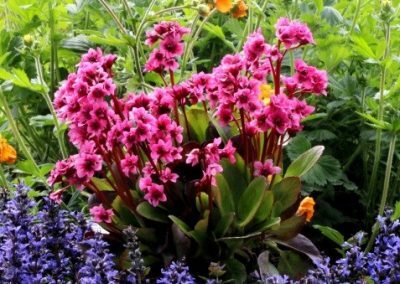 The compact, narrow leaves, with brilliant purple winter colour, erupt in luscious bright pink flowers in proportion to its foliage. 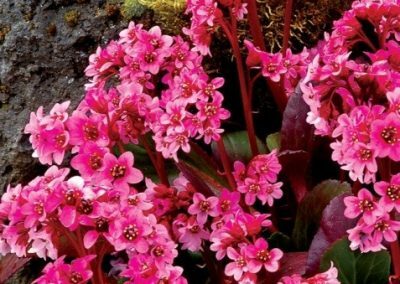 Truly the Bergenia for people who are looking for multiple seasons of interest. 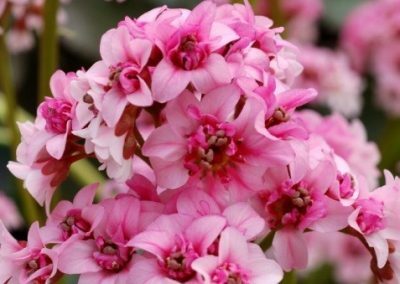 One of the most compact Bergenia on the market today.